An excellent value, full-sized 4 player croquet set, with all the equipment necessary for a good game in the garden. Includes 4 full-sized natural hardwood mallets with leather-bound handles, Full-size 16 oz balls, steel hoops, hoop mallet, corner flags and pegs, plastic clips, hardwood winning post and rules. Packed in a solid pine box. 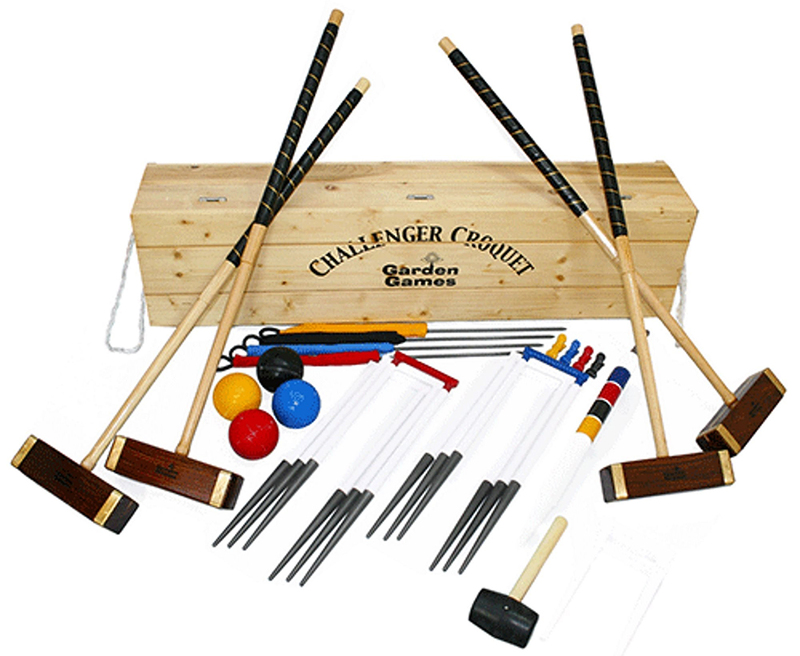 The Garden Games Challenger Croquet set is full adult sized garden croquet set. Produced to give the competition feel to your garden set, this wonderful game is great for croquet lovers and makes a perfect gift set. 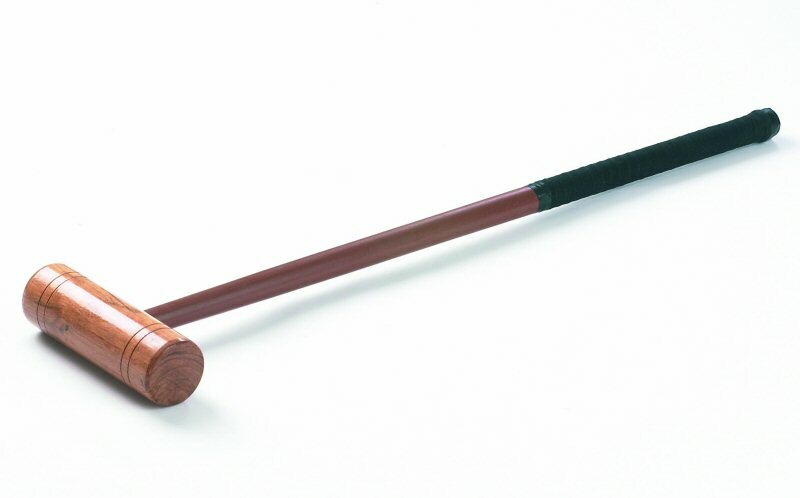 This elegant croquet set contains square headed mallets which give you that competition style. The mallet heads are made from hand finished Rosewood and have brass banding round the end to give protection, security and better accuracy. The mallet heads also have inlaid sight lines for lining up your shots as well as solid octagonal ash handles for less vibration and a better feel. This set contains 4 x 16oz solid plastic composite balls, which are regulation size and weight. This wonderful croquet set also comes with 6 solid steel hoops with carrot style ends which means once placed in your lawn they will be held more securely in place during play. Also included is a hoop drill (not included in many other croquet sets on the market) which is designed to create the holes for the hoops to fit in without causing additional damage to your croquet lawn area. 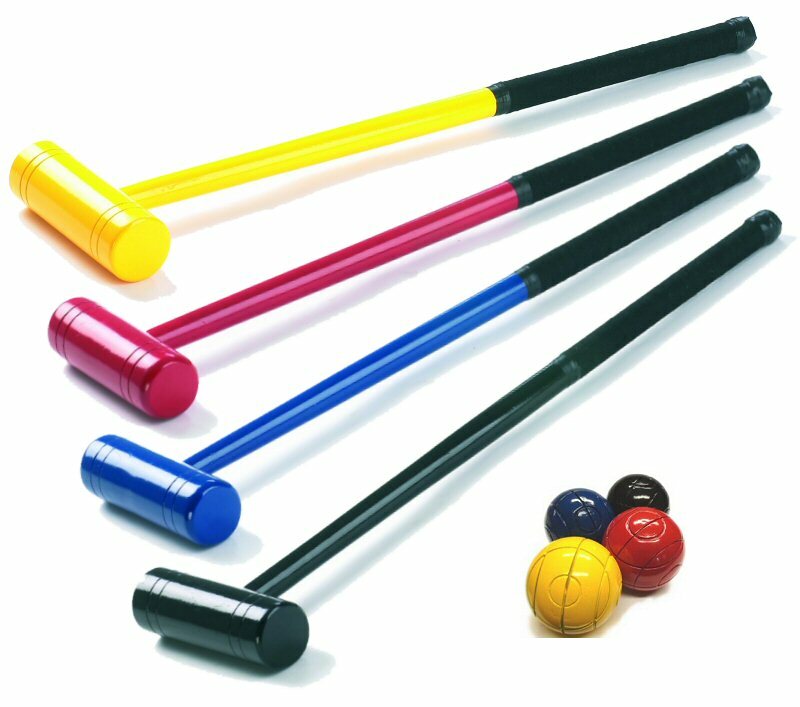 The Challenger Croquet set also contains a hoop mallet or smasher which has a rubber head in order to protect the hoops and help you set up the game ready for play. The Challenger Croquet set has everything you need in order to play straight away and is stored in an elegant pine wood box. The Garden Games 16oz balls are full-weight and full-size (9.2cm). These modern, long lasting composite balls are durable and provide excellent play. 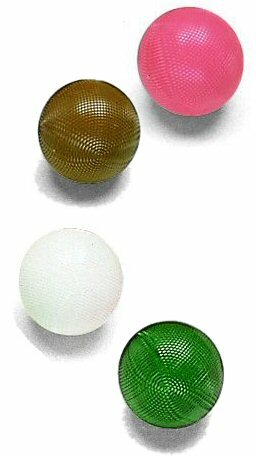 These are the balls that Garden Games supply with their top-end croquet sets such as the Townsend & Hurlingham.